These models are hardous location strobe light that provide 60 high-intensity flashes per minute. This warning light is available in 24VDC with a 4-wire supervisable power circuit for fire alarm and suppression supervised control panels. These warning lights offer an aluminum base, coated for corrosion-resistance that is ready for mounting on a 3/4-inch pipe. The dome guard (included) fits over the glass dome to protect it against accidental collision with moving equipment, such as forklifts. 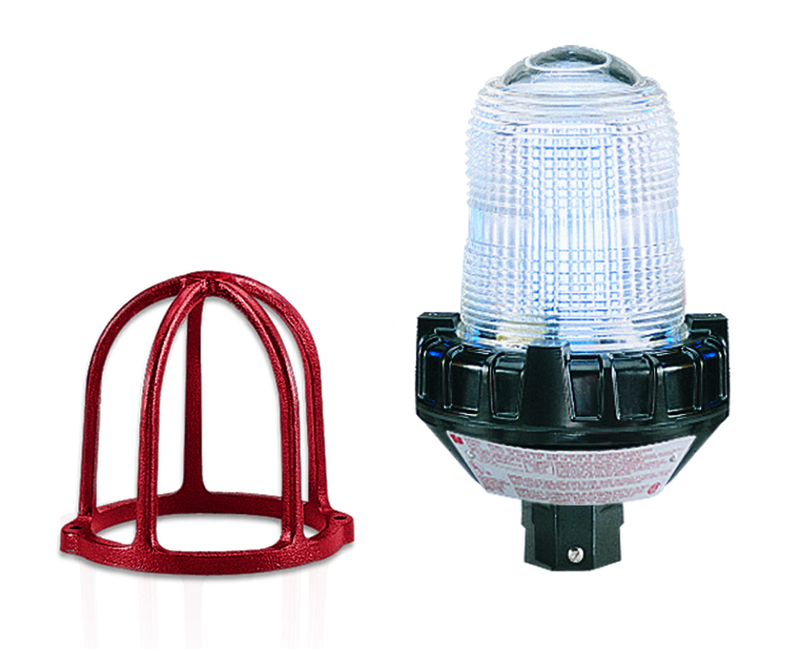 These rugged strobe warning light is specifically designed for hazardous locations or corrosive environments where a very bright visual signal is required. This warning light can be used for plant evacuation or other communication needs.